Motorists face paying up to �10 a week to park at work in Scotland's capital. Business should pass on the cost of a workplace parking levy to staff to help cut car use in the Capital, council leader Adam McVey has said. We were inundated with readers’ thoughts. John Hendry: “Is this one of the same clowns that thought 20mph speed limits would be good idea? The lot of them need replaced before they kill off the city. Christopher Arkle: “It is looking like this new tax will not be charged to people working in the public sector, but will self-employed people working from home have to pay to park? So many questions that are not being answered make it look like this really could be ‘poll tax on wheels’. Helen Deas: “I don’t know what the big deal is about paying for parking at work – thousands of people like me have paid for years for parking to go to work. John Innes: “If you want to cut car use, build businesses where people live, not in monstrous business parks miles from anywhere. 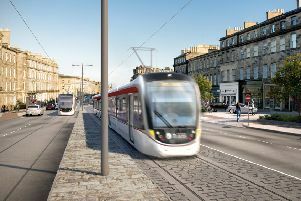 Or provide public transport from where people live, not the city centre. East Lothian to the Gyle is a nightmare by public transport. Aileen Horne: “The council need to get their own business sorted out first and then they may see how they can save money themselves instead of introducing new policies that are going to cost everyone else. Some people who work are struggling to make ends meet as it is. How does this make sense? Have they thought about people who have to get kids to childcare, nursery or school who rely on cars? We don’t even have a decent transport system to help or encourage people to stop using their own cars. Again, it’s obviously people who are the high earners and can make ends meet at the end of the month that have made this decision. Council get a grip!